I'm linking up with the pleated poppy's What I Wore Wednesday(wiww) again for some fun. WWIW link up was started by blogger/business woman extraordinaire, Lindsey, as a "fun way for us to encourage each other to simply get dressed each day, and get out of our pj’s or yoga pants." The kids are back in school, the leaves are starting to turn and it's getting darker earlier. It is time. Time to let go of summer. Time for fall. Time for...sweaters. And I don't like sweaters. Maybe it's my hormones, but I am always hot and sweaters make me sweat. Yeah, I'm all kinds of McKayla MaRoney Not Impressed with sweaters. So many people love fall. "I can't wait to wear jeans and sweaters," someone, or everyone, will say. I don't mean to sound negative, but I prefer dresses and flip flops or T-shirts and Capris. So as I move forward into fall fashion, here are some looks from last week. Looks that quite frankly, I'm not ready to let go of and won't until the weather actually gets much colder. My favorite T-shirt of the year from the fabulous online store-The Mitten State. Capris from the sale rack of my seemingly favorite store Old Navy. My new fashion obsession--headbands. I like them because they are cheaper than Botox and they cover my deep forehead wrinkles. And they have a retro, 1960s feel. Plus, I think it also can look a little gangster and that's cool. One thing, I am ready to let go of? The summer white sunglasses. I've worn them in every picture, every video and I'm over them. Time for some fall shades. What are your fall fashion must haves? Are you all about the sweaters? Where do you get your fashion inspiration? Click here to share your fashion advice on my Facebook page. Click here to check out the other links on the fabulous blog the pleated poppy. 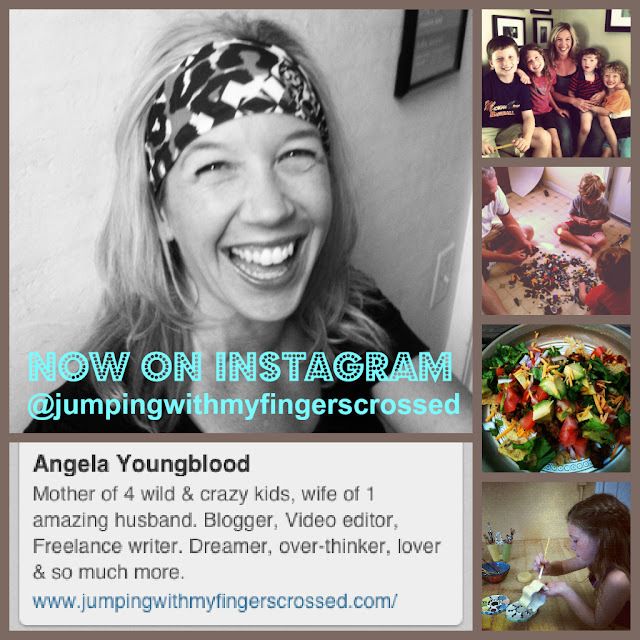 And come on over and check me out on Instagram. Now following your cute blog! Thank you! I just linked up this post with your Sunday Style linky party. Thanks for letting me know about it, your blog is great!